Pets certainly know when they are clean and looking good. Clean pets are happier, better behaved, healthier, and more outgoing. Just like all of us, they feel good when they look good. 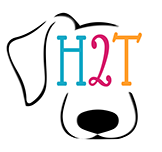 Head to Tail offers a complete line of fine grooming services to bring out the best of appearance and personality of your pet. We work carefully, never rush, and do not overbook appointments. We always take our time to do it right. Attention to detail in making your pets stay a comfortable and memorable one. Daily activities to keep them active and entertained. Feeding and medicine administration. Secured safe environment.